The Purchasing Department’s mission is to provide the highest quality procurement services to all customers in the most efficient and fiscally responsible manner in the accordance with all applicable laws, policies, rules, and regulations. The Washington County Health Department is responsible for procuring all goods and services required by the Washington County Health Department. The department’s office is located at 1302 Pennsylvania Avenue, Room 306, Hagerstown, Maryland 21742 and reports through the Director of Administration. User department/agency/Pursing Department obtains written quotations from a minimum of three bidders. Formal solicitations – Invitations for Bid or Requests for Proposals, are posted on the Purchasing Department’s web page where potential bidders are encouraged to download solicitations and addenda. The WCHD does not maintain a bidders list for architectural and engineering services or capital construction projects. These solicitations are advertised on the websites of the WCHD and eMaryland Marketplace. The WCHD does not maintain a list of bidders. Vendors are encouraged to visit the WCHD website to view notices of formal bids/quotes as well as the State’s eMaryland Marketplace website. All services and construction contracts require insurance certificates of general liability, workers’ compensation, automobile liability, and naming the WCHD as an additional insured. A bid deposit may be required on formal bids. 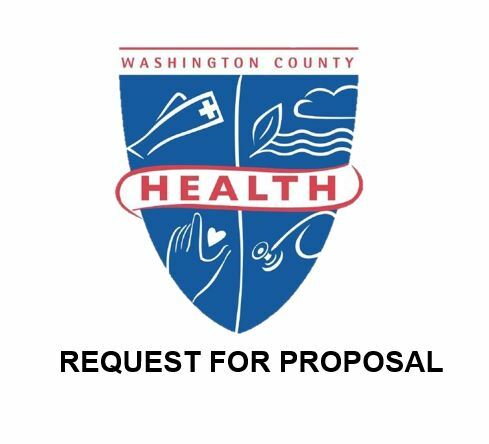 The bid deposit shall be a certified check made payable to the Washington County Health Department drawn from a solvent bank or an insurance bid bond made payable to the Washington County Health Department. It is the policy of the Washington County Health Department to encourage participation of minority-owned businesses, women-owned businesses, and disadvantaged businesses.